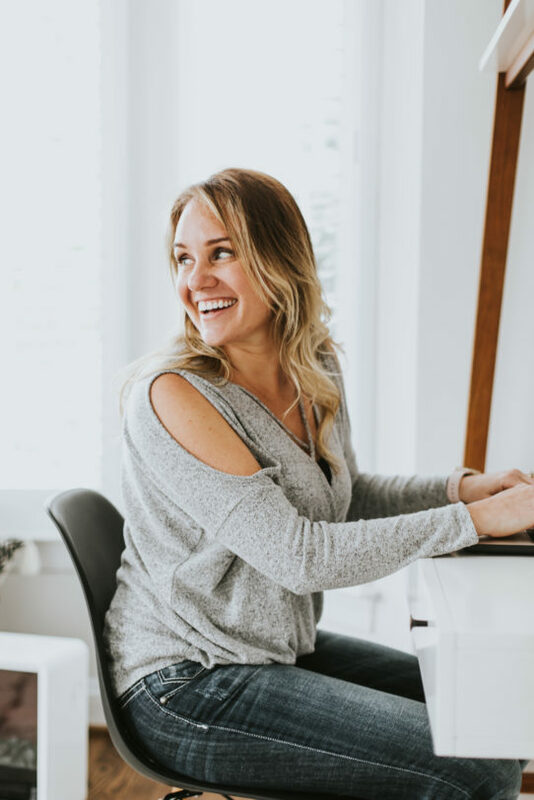 The Luminaries Club is my privately-hosted membership program that’s filled to the brim with tools, resources, and trade secrets that will help you take your business to the next level. Inside, you’ll find a place to connect, recharge and reimagine your career. I’m Lisa Jacobs, and I’ve helped thousands of creative entrepreneurs build more profitable businesses. I’m a results-obsessed marketing strategist dedicated to your success. If you’re anything like I was, you’re showing up year after year in business, doing the same things and expecting different results. Let me save you the five years it took me to learn this lesson: That strategy just doesn’t work! Yet too often I come across creatives in that very rut. Unlimited access. Unlike most courses and programs, this membership fee is your final expense. You’ll get everything that’s inside the club now, and any program I create going forward at no additional costs. Personalized attention and client support like you’ve never seen before. The Luminaries Club is designed to help you every step of the way on your creative journey. You’ll see continuous return on your club investment. In addition to the materials, classes and challenges included inside The Luminaries Club, you’ll also get access to All of my trade secrets, a group Pinterest board, and personal accounts of real-life business breakthroughs. However, you’ll never have to feel guilty if your schedule keeps you away from the group … in fact, I’ll do everything in my power to encourage your business to steal you from us! Online businesses are the ONLY small businesses in the world that create a product and scramble to sell it day-by-day. I know all of this because I created a business similar to yours, ran it day-by-day just like you’re doing now, and almost dismantled it after three years thanks to frustration and dead-end results. And then I thought, what if my career were different? Imagine knowing where your next month’s paycheck is coming from and feeling confident about how much you can earn. Imagine a set-it and forget-it system that builds your following, increases your sales and markets your products while you sleep. Imagine having a realistic plan you can trust for constant expansion and growth.Through ongoing experiments and tested strategies, I’ve set my business up for exponential growth. I finally realized that if I wanted extraordinary results, I had to do things differently and make some extraordinary changes to my operation. And it worked! You deserve better results, too. When you sign up for The Luminaries Club, you’ll instantly unlock a world of trade secrets and business training. A stocked library of e-programs. In it, you’ll find the best-selling Shop Fundamentals, Advertising and Exposure, and Marketing Playbook, just to name a few! A private network. The Luminaries regularly gather privately as a group to film new material with open Q&A sessions. An exclusive affiliate program. Existing Luminaries love the club, and this program rewards them for sharing it with their friends. The commission is so generous, many members earn passive, recurring income well beyond their investment in the club. Tax-deductible business mastery. Professionals invest in themselves, especially when they want to be the best in their field. The invoice you receive is a 100% tax-deductible expense. And that’s just a small sample of what the club has to offer! Once you sign up and become a Luminary, your first stop is Luminaries Grand Central—the hub of the club. It’s a well-organized and easy to navigate website. There you’ll find the complete library of Marketing Creativity e-books and programs, including Shop Fundamentals, Advertising and Exposure and The Ultimate Blogging Kit. You’re invited to enjoy all previously recorded seminars, partake in a business-boosting challenges, or take a class at your convenience! There is also a private Facebook lounge: a place for you to discuss, collaborate, compare notes, and check-in with fellow Luminaries. As a club member (aka Luminary), enjoy all of the materials, tools and resources—again, this information is to be digested at-your-own pace. Nothing expires, there’s no rush, and absolutely no deadlines. If you’re feeling stuck and frustrated, trust me, there are hundreds of thousands of creatives in the same boat. So, where’s the disconnect? Why is the reward and recognition you want so hard to attain? How is that you see successful businesses all around you? Do they have some magic formula that you don’t know about? Well, yes and no. Successful businesses do have a formula, but there’s nothing magic about it. Be honest: have you been chasing the above list in your mind over and over again, day in and day out? If you want to reach any destination, you have to map the route and physically move toward it. The Luminaries Club is the map: it’s how you’re going to get from where you are to where you want to be. Let me take the best of what I know and help you build that successful business you’ve been dreaming of. I know that carving your own path in business can be an equal mix of excitement and frustration. You run into countless obstacles, end up chasing the same issue for weeks, months, even years. You are never alone inside The Luminaries Club. Trust me, you are always going to have new questions.You’re always going to need to learn new things. And as a Luminary, you’ll always know where to turn. The Luminaries Club is full of the help you need … if you do the work. It takes much more than reading tips and watching videos to create success; you must be focused on your goals and dedicated and persistent in your efforts. I have a 30-day money-back guarantee. Show me your work (proof that you gave my system a real go), tell me how I failed your expectations, and I’ll happily refund your money if you’re not satisfied. Sign up now to try the club risk-free!